H 7.5 x W 9 x L 14 cm. Weight 290 g. Supplied without shaving cream. For wet shaving, a shaving bowl is not just a decorative accessory but an important tool. 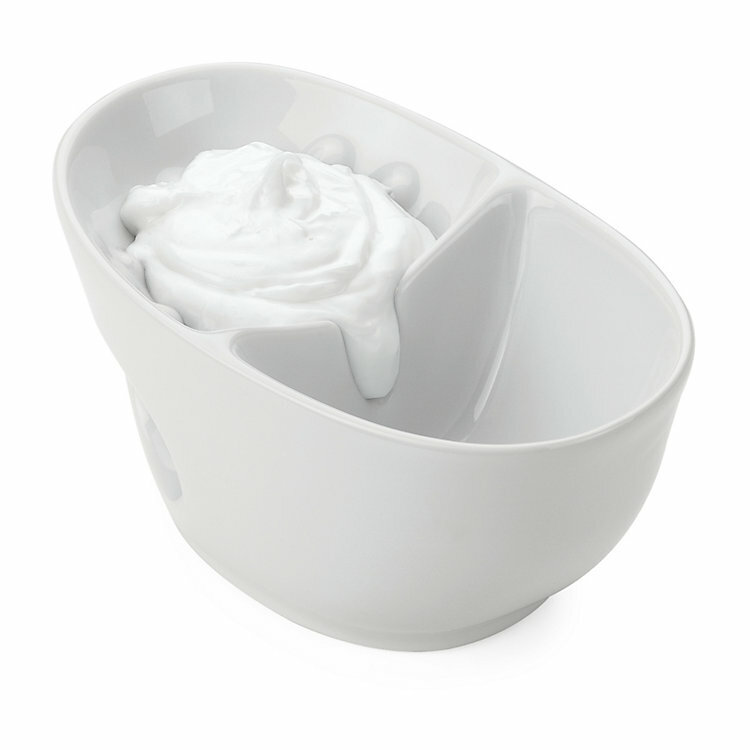 Only in such a bowl can the fine and stiff foam which is essential for a skin-friendly, deep-down and lasting shave be created with the help of a good shaving soap or cream and a good brush. The porcelain shaving bowl made in Germany on the basis of historic models is very easy to hold. The shaving cream can be beaten well thanks to the inside grooving and then removed easily thanks to the open conical shape.